Let’s rewind to March 2013 at the second C2C festival at the O2. I stumbled across Raintown whilst having a quick drink stop at the Brooklyn Bowl, unaware of the incredible talent I was about to witness. As the crowd started building, I decided to stick around, and as soon as Paul and Claire began their set, it was no mystery as to why such a large audience had formed. Their pop-infused style of country music reminded me of artists such as Lady Antebellum as their catchy, sing-a-long choruses and incredible vocals instantly grabbed the attention of the huge Brooklyn Bowl audience. Their set very quickly became one of my personal highlights of C2C 2013, and I have had a keen interest in Raintown’s music ever since. Which brings me swiftly on to Sunday 11 October 2015 in Wolverhampton. Paul and Claire embarked on their very first headlining tour, named the “Writing On The Wall” tour after their fabulous sophomore album (which is well worth a listen!). After seeing them at both C2C 2013 and 2014, this was a must-see show, and it is always a thrill for me to go out and support our very own UK artists. As expected, Raintown thoroughly impressed at The Slade Rooms. The energy and passion that Raintown consistently show throughout their set really got the crowd going, and was met with a superb reception from their Midlands fans. The night began with a wonderful 30 minute set by Laura Oakes, an artist I was not familiar with before the show. I had heard very good comments about her set at C2C 2015, so I was very excited to see what Laura had to offer, and she certainly didn’t disappoint. What really impressed me was Laura’s stunning vocals, as the purity and clarity of her voice was truly incredible throughout. A personal highlight was hearing her single, “Snakes and Ladders”, a wonderful production which is mainstream-orientated, whilst still maintaining a beautiful melody and clever lyrics which we associate with the genre. Laura is certainly an artist to look out for, and I am excited to hear more! Laura’s set was followed by another C2C favourite of mine, Dexeter. I have been lucky enough to see Dexeter on a few occasions now, including when they opened for The Shires and Ward Thomas at the Glee Club in Birmingham (seems like a long long time ago now! ), and they get better and better each time. On Sunday we were treated to a superb 30 minute set including two favourites of mine, “Meet Me There” and “Older”, as well as a wonderful rendition of “What Hurts The Most” by Rascal Flatts. Deeanne and Gareth sounded as stunning as ever, with harmonies that are up there with some of the best I’ve heard. Be sure to check out their album, “Four Thousand Miles To Nashville”! Soon after, Paul, Claire and the band took to the stage, greeted by rapturous applause. The set began with the title track from their new album, “Writing On The Wall”, a brilliant track absolutely full of energy with a rocking country rhythm which had us all stomping our feet! The band reeled off a series of amazing tracks from their new album, including personal favourites “Nineteen Again”, “Better Beautiful” and “Feel Much Better Now”, as well as some old fan-favourites such as “Picture of Us” and sing-a-long anthem “Love’s Got A Hold On You”, which is always a personal highlight of every Raintown show. However, the most impressive part of the show for me was the acoustic section, where the rest of the band took a break leaving Paul, Claire and guitarist Steve on stage to perform three tracks. This included a truly stunning, stripped-back performance of my favourite track on the new album, “Forever Isn’t Long Enough”. For anyone unfamiliar with Raintown, this would be the track I would encourage you to listen to, as it showcases their incredible harmonies and in particular, Claire’s beautiful voice which I truly believe could challenge the best we have in the genre. This was a moving performance of a wonderful track, and a performance that will live long in the memory. 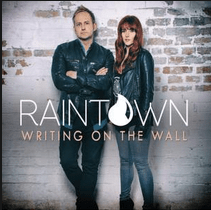 The show was rounded off with the brand new single, “If This Was A Love Song”, a return to the pop, mainstream-orientated style of country music that made me a fan of Raintown back at C2C 2013. Despite the album itself only being released two days prior to the show, many people in the crowd sang along to every word of this, largely due to the brilliant video which has been released for this track, which I would urge everyone to take a look at. The feedback on social media has been very positive regarding the new single, and I hope that it continues to gain exposure and has the success that it deserves. Be sure to go out and support Paul and Claire at any possible opportunity. They deserve every success with their superb new album which I know has been a long time in the making, and I really hope that C2C can welcome them back for a fourth successive year at C2C 2016 so they can rock the Brooklyn Bowl once again!